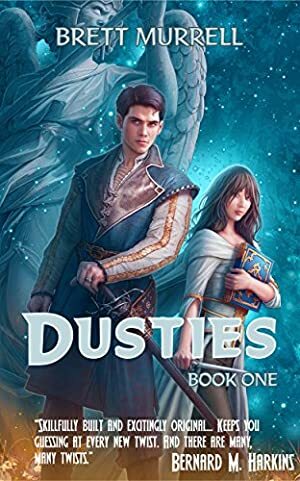 "Dusties is the king of unfolding mysteries, a fantasy epic that delivers the perfect mix of mystery, adventure, and loved characters." In a world that has lost its light, a tiny colony of newly awakened Dusties struggle to make sense of their bizarre surroundings. But as the survivors penetrate the enveloping darkness and tug at the mysteries around them, they begin to discover both a deadly threat and the elusive pattern that could save their lives -- if it doesn't kill them first. "The Dusties Series spans five books, building a tight, exciting storyline with characters that became my best friends." Start Book One of Dusties and enjoy exploring a strange new world with insanely likeable characters. We started tracking this book on June 1, 2018. The price of this book has changed 12 times in the past 326 days. The lowest price to date was FREE last reached on February 18, 2019. The highest price to date was $2.99 last reached on March 6, 2019.